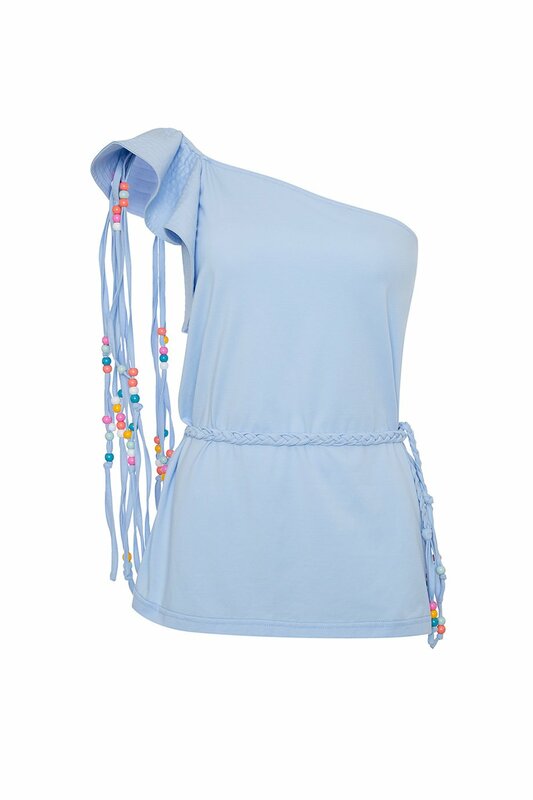 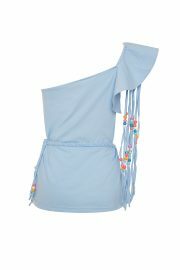 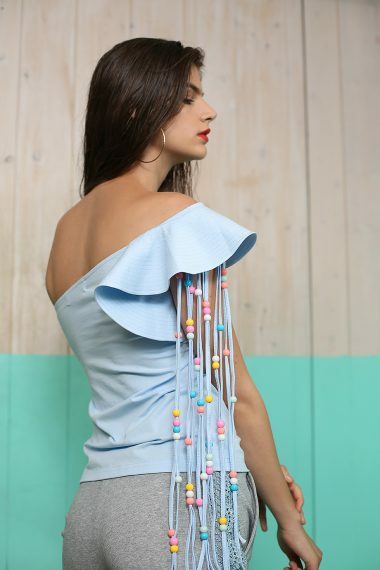 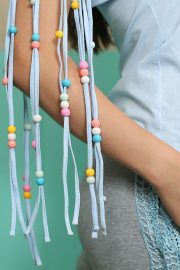 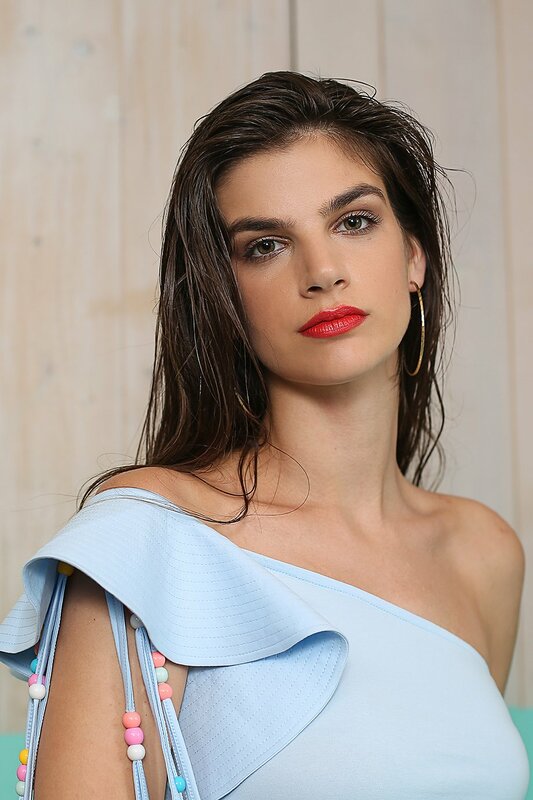 Pastel blue one-shoulder jersey top with full-flare butterfly stitched sleeve and rainbow-colored beaded shoulder fringe. This adorable top looks best teamed with a denim pair of shorts or a mini skirt. A detachable braided belt comes as an extra accessory for a more fitted look.